Even if your cat does not go out, or goes out of the house rarely, its body can be infected by worms or other parasitic infections. In this review, you will find information on best worm meds for cats and on how to use them. Worm infection is dangerous for health of cats and their owners. Some kinds of worms are perfectly adapted to life and thus they can live in an animal’s body, as well as in the human body. Worms cause a great harm to the cat’s body: they suppress the immune system, affecting the metabolism and damaging the internal organs. There are different types of worm meds for cats that can eliminate parasitic infection in the body of your pet. However, please note that medications intended for humans are not suitable for cats. If your cat’s health was affected by parasitic infection, veterinarian should prescribe some drug treatment. To cure worm infection in cats, veterinarian prescribes the prescription meds containing Bunamidine Hydrochloride and Dichlorvos active substances. Such worm meds for cats are available in the USA under the brand names Scolaban 400 and Task. Scolaban tablets (by Intervet) can be used for the treatment of worm infections caused by Dipylidium caninum and Taenia taeniaeformis. To achieve maximum effect, cat should take Scolaban tablets before food intake. You should give your cat the whole Scolaban (Bunamidine) tablet without crushing it. If you break, dissolve in water or mix the tablet with food, it may irritate the mouth mucosa and cause anxiety and discomfort for your cat. Bunamidine-based worm meds for cats can be used for a repeated treatment or prophylaxis of worm infection. It is necessary to keep a two-week interval between the treatment courses. Scolaban and other Bunamidine-containing pet meds are not prescribed for all kinds of worm infection. If your cat was infected by round worms or hookworms (Uncinaria stenocephala, Ancylostoma caninum, Ancylostoma tubaeforme) – then it must be prescribed with a medication, containing Dichlorvos insecticide. Popular worm meds for cats containing Dichlorvos are sold under the brands – Task (USA) and Atgard (Canada). 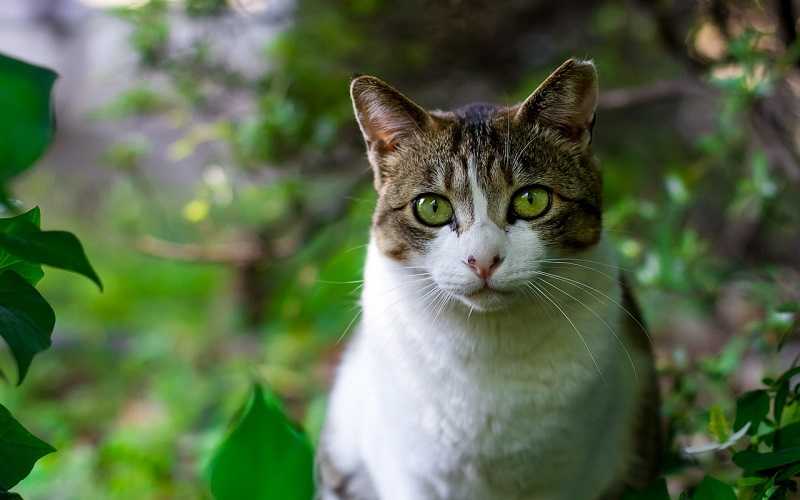 The U.S. suppliers of these worm meds for cats are the largest manufacturers of pet care products, such as Intervet, Strategic Veterinary and ConAgra. To increase the efficiency of oral therapy, veterinarian can prescribe topical worm meds for cats in addition to deworming capsules. Please note that most prescription and OTC worm meds can be used in both cats and dogs. Such worm meds are recommended for all cats and dogs that often contact to each other. Modern worm meds for cats rarely cause side effects. Most side effects occur during the first 12-24 hours after the intake of deworming medication. During drug therapy of worm infection, cats may develop the gastrointestinal side effects, such as: vomiting, diarrhea, loss of appetite and excessive salivation. Other side effects of worm meds for cats appear very rarely and usually do not cause any discomfort for pets. Tapeworm is one of the most common classes of worms parasitizing in the intestines of kittens and adult cats. The class of tapeworms includes several different types of parasitic worms. OTC tapeworm meds for cats are produced in tablets, capsules, paste or liquid for oral use. Antiparasitic medications for cats can be sold at pharmacies under different trademarks. Pastelike tapeworm med for cats containing anthelmintic agents Febantel and Praziquantel is sold under the brand Vercom. Besides the combined tapeworm meds for cats, medications containing just one active component can be used to fight helminths – Dipylidium and Taenia. Tablets containing only Praziquantel are known the owners of cats under the brand names Tapeworm Dewormer and TradeWinds Tape Worm Tabs. It should be noted that all these tapeworm meds for cats can be used to combat worms – Dipylidium caninum and Taenia taeniaeformis, but are not effective in the treatment of parasitic infections caused by tapeworm – Echinococcus granulosus. To fight Echinococcus granulosus tapeworm, combined tapeworm meds for cats containing antiparasitic agents Dichlorophene and Toluene are used. Medications containing Toluene and Dichlorophene are considered the best tapeworm meds for cats. This statement is confirmed by the fact that these medications are manufactured by dozens of companies and sold under different trademarks. The US inhabitants know the best tapeworm meds for cats under the brand names: Elite Dog & Cat Wormer, D & T Worm, THR Worm, Worm, Trivermicide Worm, Pulvex Multipurpose Worm Caps, Tri-Plex Worm, Tiny Tiger, Difolin, Anaplex Caps, Vermiplex. If you want to buy tapeworm meds for cats at the cheapest price, find out from a veterinary or pharmacist of veterinary pharmacy under what trade names they are sold in your region. If you have no time to search cheap tapeworm meds for cats, you can order them online at any convenient time for you. We want to draw your attention that many medications mentioned in this review can be prescribed both to cats and to dogs. Thus, when choosing pet meds on online pharmacies, you can compare prices for identical tapeworm meds for cats and dogs and buy the cheapest ones. When comparing prices of tapeworm meds for cats, pay attention to the doses of antiparasitic agents they contain. Moreover, when buying tapeworm meds for cats, pay attention to the indications for their use. For instance, vet meds containing antiparasitic agent Fenbendazole are used to fight Taenia taeniaeformis, Taenia hydatigena and Taenia krabbei tapeworms in cheetahs, jaguars, leopards, lions, panthers, pumas and tigers living in the wild or in zoo.